Hello, everyone, and Happy New Year! I am so excited to be kicking off the Book Blast for Rebecca Rosenberg's Rebecca Rosenberg's The Secret Life of Mrs. London! 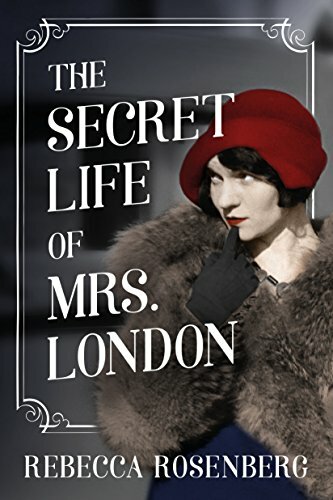 Rebecca Rosenberg's The Secret Life of Mrs. London will be released on January 30th from Lake Union Publishing and is available for pre-order. I am reading it now and loving every page! 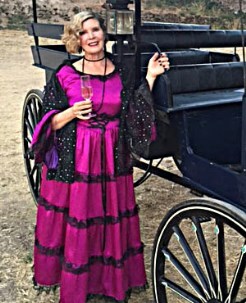 The writing is fantastic - clever and witty - and Houdini, London, and Charmian are intriguing personalities. Highly recommend! That sounds like a great book. I love the cover! Hi Angela! Isn't the cover fabulous! That's what first drew me to it, and once I started reading it, I was hooked! I should finish it up tonight, though I'm sad to get to the end.